Most commonly seen in Spanish and Mediterranean designs, the clay tile has been a popular roofing choice for centuries. During the Bronze Age - clay roofing tiles were the roofing material of choice for rulers, kings and monarchs. Clay roofing tile has a long history dating back to ancient Greece, Rome and China over 10,00 years ago. Made by baking molded clay at high temperatures - it is available today in a broad selection of styles, colours, finishes, textures and profiles. The fire proof characteristics of clay tile roofing has long been recognized. The King of England introduced construction by-laws as early as 1212AD that required the elimination of flammable roof coverings in London. Boston and New York instituted building and fire codes after the damaging fires of 1679. Clay tiled roofs had become customary throughout Europe by the 1800s. Lifecycle of 100 years or more. The highest fire rating available. Able to withstand hurricane force winds. Reflective properties can reduce roof temperatures by over 20 degrees Celsius - reducing cooling costs in summer and winter heating costs. Available in more than “just red” – a number of manufacturer’s are now producing several different options. Grey, white, black, blue, green, purple and green and even graduated colour options are now being offered. In addition to s-styles, mission and barrel profiles, a number of fresh designs are on offer. Shake/slate, flat shingles and interlocking tiles can be used in a range of styles. 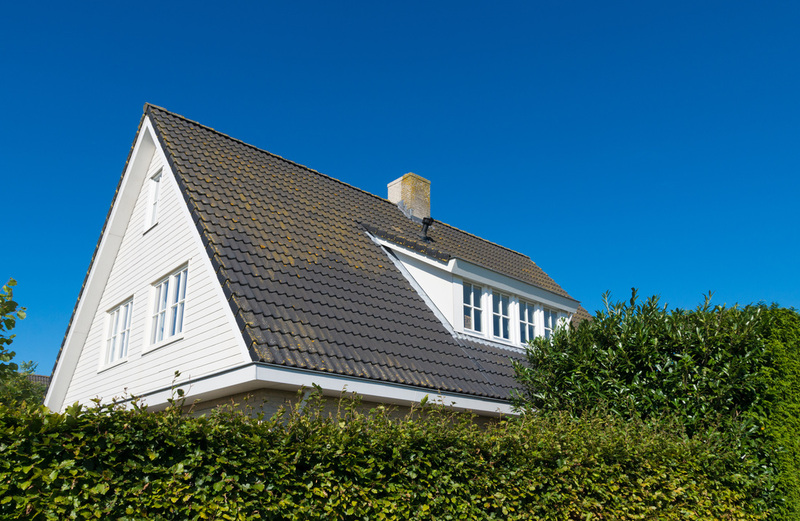 The increased weight of clay roofing tile is one of its largest drawbacks. 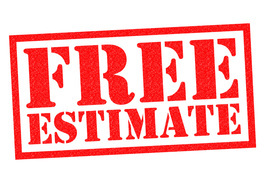 Weighing as much as 3 - 4 times as much as asphalt may require added reinforcement to your supporting truss structure. Always talk to a structural engineer before considering a change to clay tile. Not just any roofer can install clay roofing tile. 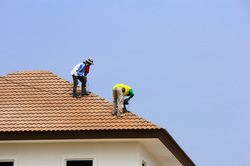 Our installers have special training that uniquely qualifies them to handle the most challenging tile roofing job. While some clay roofs over 100 years old - improper fastening can result in tile slippage and roof failure.. Problems with clay roofing are usually the result of poor installation rather than a material problem. There are a number of products available today that give the appearance of clay tile without the added cost, installation difficulty and cracking potential. There is now metal, fibre reinforced cement and plastic polymer roofing materials made specifically to resemble clay tile. Lighter, less expensive and easier to install, have made these products an extremely viable option for homeowners and developers who prefer the look of clay without the added limitations. While noted for their long-life, tile roofs are more susceptible to chipping and cracking than other roofing materials. Interestingly, most of this damage occurs from walking on the roof during inspections or repairs. Smaller hailstones under 5 centimetres (2 inches) do not usually do any damage to clay tiles. Chips and cracks may start to appear with larger hailstones. While all areas of the country receive damaging hailstorms from time to time - Calgary and southern Alberta are some of the most hail prone areas in Canada.